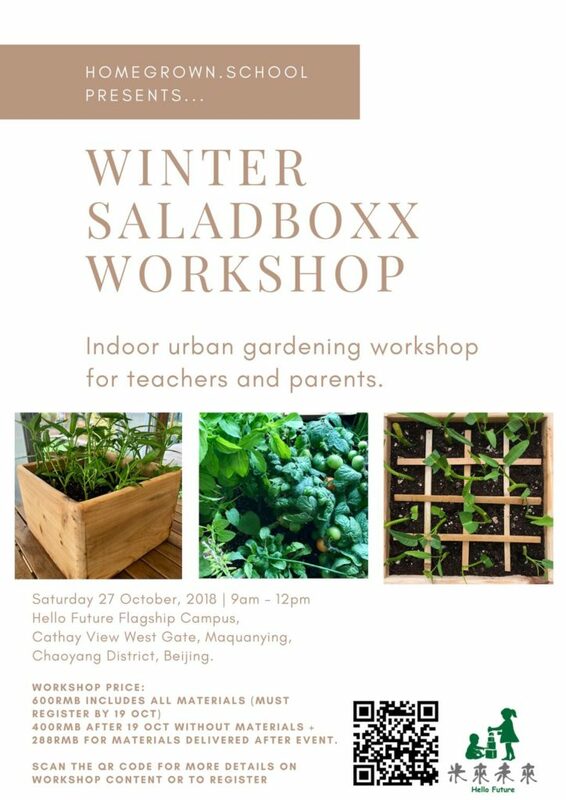 Say goodbye to those overpriced salad mixes from the foreign-friendly grocery stores, and start learning everything you need to grow great greens any time of the year in the comfort of your own home by joining this fruitful workshop going on at Hello Future Kindergarten on Oct 29 (9am-12pm). Founded by Singaporean expat Daniel Lim, HomeGrown.School, is a small organization dedicated to educating fellow Beijingers about urban gardening. Through his modified ‘3 square foot garden’ method of growing vegetables, he explains various creative methods for growing one, four, nine, or even sixteen plants in a single box. You would be surprised at just how easy it is to set up a simple grow kit indoors, and that’s exactly what this workshop will be covering, along with how to solve simple problems related to urban vegetable gardening.